First, I am not a sunset person, I prefer the sunrise. Sunset makes me feel sad. I don't know why, but it makes me feel so down. Well, sunrise makes me look forward for a wonderful day ahead and a beautiful sunrise the next day. 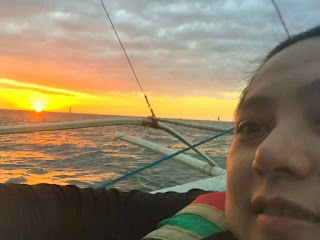 Anyways, here's a photo of me watching the sunset in Boracay Island, Philippines.